Invite us to design and quote for an outdoor area that fits your home’s personality as well as your lifestyle. We believe in treating our customers fairly, don't employ commission sales people or subject our customers to high pressure sales tactics - just good honest advice. Bespoke Aluminium Veranda supplied and installed by expert craftsman. Depending on the range and style, projections of up to 6 metres can be accommodated and in all cases, unlimited widths. 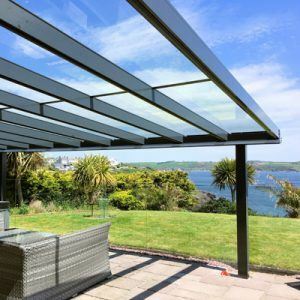 We are able to offer roof materials in glass or polycarbonate. If you’re needs are for a Canopy (Wall Mounted or Free Standing) small or large, DiatoStyle have got you covered. Whether it’s use is as an Entrance Porch, Carport, Hot Tub Cover, Shelter or Walkway we will turn your imagination into reality. 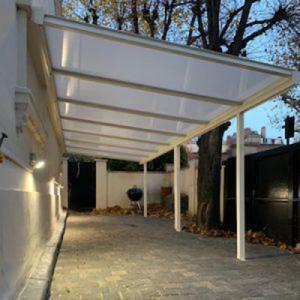 The Treviso Bioclimatic Pergola range from DiatoStyle are manufactured utilising an aluminium structure which presents a stylish and contemporary look. They can be free standing or wall mounted to suit. Patio Awnings provide a stylish roof over your terrace. Our retractable patio awnings keep you, your family and friends cool in the sun, protected from harmful UV rays and bright light, along with providing much needed shelter from those occasional rain showers. DiatoStyle Ltd © 2018 | 130 Old Street, London EC1V 9BD | DiatoStyle Ltd is an Introducer Appointed Representative and provides a pure client Introduction through Improveasy Ltd., a company registered in England and Wales (Co. Reg. number 7807352). Registered Office: Manchester Business Park, 3000 Aviator Way, Manchester M22 5TG. The firm is authorised and regulated by the Financial Conduct Authority (FRN 708623). The firm is authorised as a Broker, not a Lender, and offers credit facilities from a panel of lenders. The credit is subject to application and status.